If you’re wondering how social media platforms integrate with your company’s marketing strategy, it’s important to understand the purpose of social media in the first place. Different social media platforms have different purposes, but one overarching theme of all platforms is that they’re designed to connect online users to each other. Whether you’re looking for a long-lost college roommate or looking to find your next job, social media can help. But how does making online connections relate to your business? In order to make sales, it’s crucial that you form a close relationship with your target audience, potential customers, and loyal consumers alike. Since you can’t exactly get to know each one of your potential buyers over dinner, social media provides a vehicle for communication and business growth. In using social media sites for business, you’ll be able to get to know your audience via messaging features, communication within the comments, and even something as small as the posts that users like and share. Not only can you connect to your customers by way of messaging on social media platforms, but you can also gain beneficial intel into the products and brands they like, what they shop for, and more. Social media sites that work the best for businesses also allow you to appeal to your target audience. With billions of users on some platforms, social media is the perfect place to advertise your products and services in order to attract your target audience. A simple like or share from one of your friends can exponentially increase your reach since their friends will then see your content as well. You’ll be able to share pictures of your products and links to your website that will increase traffic, and eventually, cause an increase in overall conversions. After appealing to your audience with the posts you make related to your products and services, you’ll eventually see an increase in overall website conversions. With social media’s extreme reach, you can attract consumers from all over the world, just by using social media sites for your business. Not all social media sites are created equal and there are some that work better when it comes to marketing your business. Let’s talk about six of the best social media sites for your business. Facebook is a no-brainer when it comes to using the platform to market your business. As the first social platform to surpass 1 billion users, it is one of the best places to connect with your target audience, build brand awareness and sell your products. The platform is extremely user-friendly and allows you to post pictures, videos, links, and content to grab the attention of potential customers. When your followers share your content, it’ll be exposed to an entirely new audience — their followers. This makes Facebook a great platform for building brand awareness and spreading the word about your products and services. You’ll also be able to connect with users in the comments section of your posts, and in more than one way. Respond to positive comments: Show your followers that you care about your customers by responding kindly to positive reviews. Tell them how much you appreciate them and have a great interaction that brings you closer to your audience. Respond to negative comments: It’s equally as important to reply to negative remarks as it is to respond to positive ones. If you simply ignore negative comments, users will think that you don’t care about unsatisfactory experiences that your customers had and will likely not want to become one of your customers. Answer questions: If someone asks a question about a product, service, event, or purchasing options in the comments of your content, be sure to answer in a timely manner. If their answer requires a longer response, direct them to message you via Facebook messenger so that they can get all the information necessary to answer their question. Speaking of answering questions, Facebook Messenger is a great place to do so. This social media site allows you to interact with your customers on a deeper level while you to provide customer service via instant messages. It’s a great place to answer in-depth questions about a product or service, like pricing questions, dimensions, care instructions, or nutrition facts. Not only that, but it also gives you an opportunity to show that you’re responsive to customers and care about their experience with your brand. YouTube is close behind Facebook when it comes to number of users — this social platform has a whopping 1.9 billion users, and it’s a great place to gain brand awareness and connect with your audience via video content. One of the best parts about YouTube is that your videos can show up in search engine results pages when you include target keywords in your video title and description. 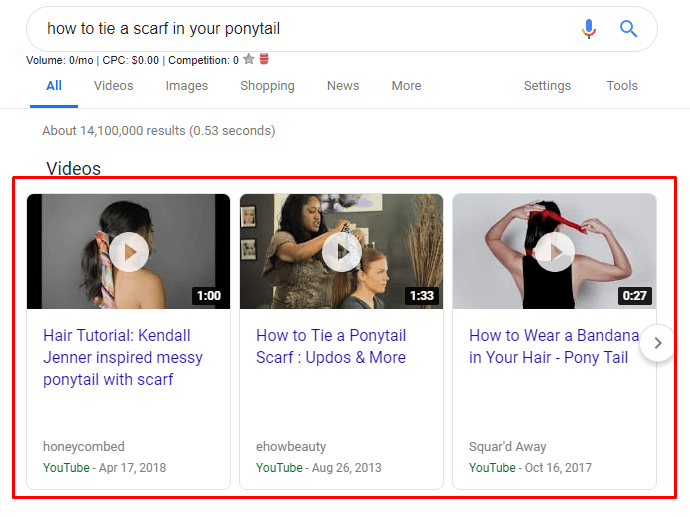 This gives you a huge advantage since your target audience might not know about your YouTube presence, but they can still come across your brand in search results when your video appears as a result. Videos help you to connect to your target audience in a more personal way and can show off your products and services instead of just telling about them. YouTube is a must-use social media site for your business. Although there is a character limit for your Twitter posts — 280 characters — it makes for extremely easy-to-consume content that users can read quickly. You can still post pictures, videos, and links to your Twitter profile, and you can also use hashtags in your posts to help interested customers find what you have to offer. Since tweets have a short shelf life, Twitter is a great platform for live updates, or “live tweets.” This allows your business to tweet minute-to-minute, real-time updates of an event to keep users updated and engaged. This is a great tactic for a new product reveal, a raffle, or a special message! Instagram is a photo-heavy social media site that works great for businesses of any kind since it allows you to show your followers about your products and services instead of telling them. You can post pictures of your products, staff, and even how-to videos of your goods. All posts allow you to post written content as a caption, so you’ll be able to explain everything. Not only that, but you can use hashtags on Instagram, too, to target those who are looking for exactly what you have to offer. Instagram stories are another great way to connect with your target audience. When you post to your story, the content only lasts for 24 hours, and then it’s gone. However, that’s plenty of time to show off a new shiny product, or even conduct an Instagram live. This is a live broadcast that is available in real-time, but also for 24 hours after you finish posting. LinkedIn is a great social media platform for business who follow B2B model, or even those who target their customers based on their job title. Since users on LinkedIn typically utilize the platform for their job search, they likely provide accurate information about their current and past job titles, which makes it easy for you to target them based on that information. LinkedIn also offers an ad platform that allows you to place ads for your products and services! If you’re excited about the possibility of using social media sites for your business, you’ve come to the right place. There are so many opportunities available when it comes to social media marketing, and if you’re not sure which platforms will work for your unique business, WebFX is here for you. We have a team of over 200 digital marketing specialists that can work together to create a custom social media marketing campaign for you. If you’re interested in learning what others have to say about our social media services, check out our 420+ client testimonials! If you’re interested in working with us on your next social media campaign, contact us online, or give us a call at 888-601-5359.